So there was a large, bulky package in the post today, and it was the vintage corduroy jacket I bought off eBay. I unpacked it and I was both pleasantly surprised and a little shocked! 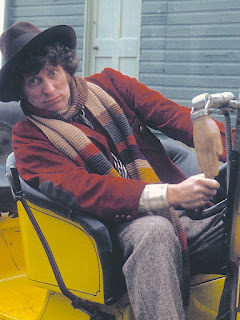 No two ways about it, looking at it in the whole it is amazingly similar to Tom’s season 12 jacket. The first thing that struck me, and was the main shock, was the lining. 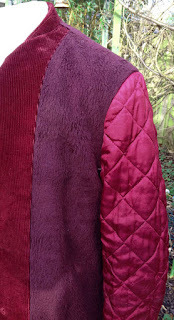 Instead of the conventional thin viscose you’d expect, it had a fleece-like faux fur! This makes it quite thick and heavy. But the jacket has been made with the lining hung and not bagged, which means it is not attached along the hem. 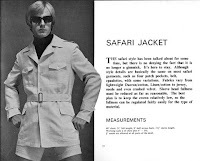 This give me unrestricted access to the inside of the jacket to spy on how it has been made. That said, I tried it on and it is a near perfect fit for me. The buttons are a little tight across the chest, but I’ve noticed they are set unusually far back form the edge, so I will move them by easily an inch without ruining the look of how it closes. 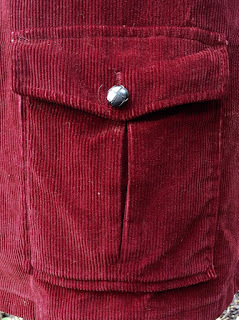 You can see the mark the button left in its old placement (I have retouched it to show up a bit more than it did). Once steamed, this near vanished completely. 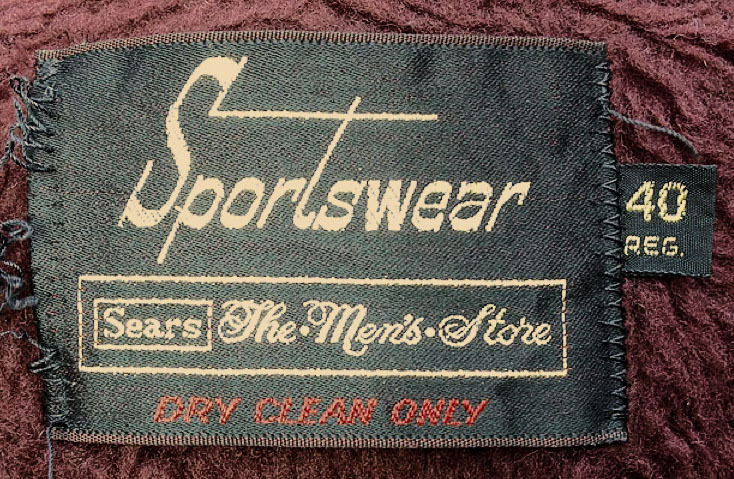 The lining also revealed its maker - Sears, the US-based retailer, and the jacket is described as being part of their Sportswear range. 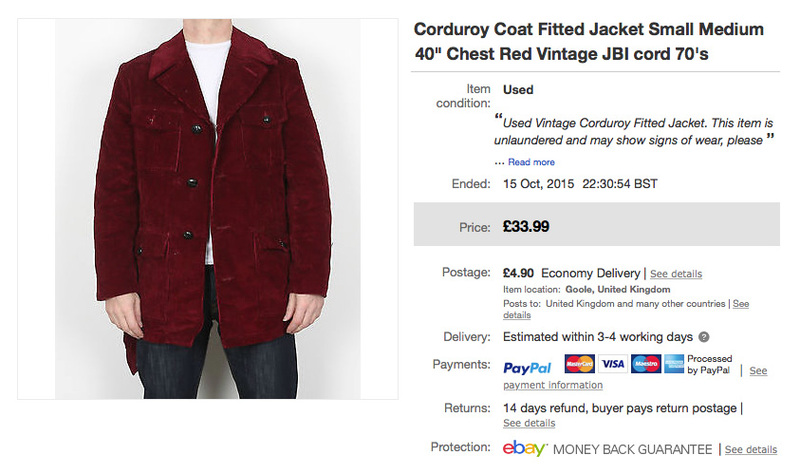 This was a surprise, as I’d have thought it would have been a UK-made jacket. The sleeves are lined with and equally heavy quilted material, making the entire jacket very warm to wear. I’m in two minds to keep the jacket as found, or to re-line it with a thinner cloth to make it more of an all year round jacket, lighter in weight and looser on the fit. 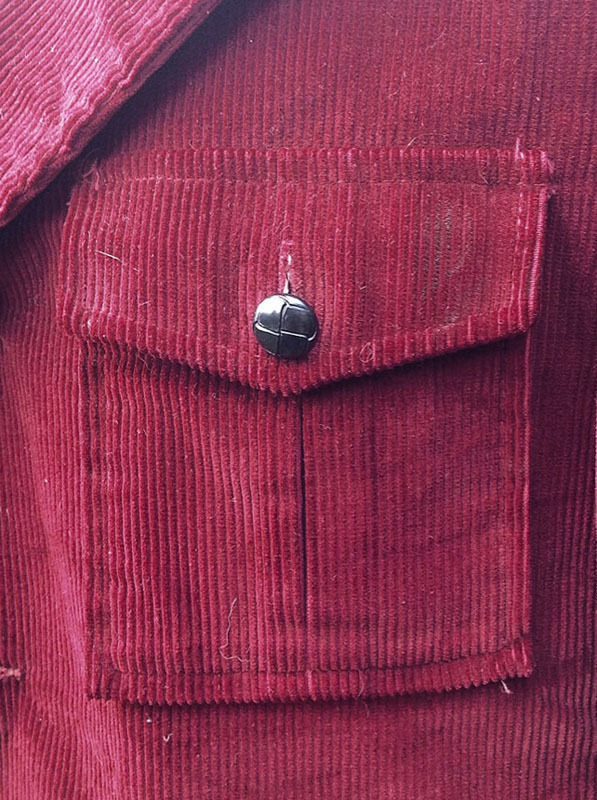 The listing on eBay did mention that there was a button missing fro the front of the jacket, which is no problem as I am sure I can find a replacement. 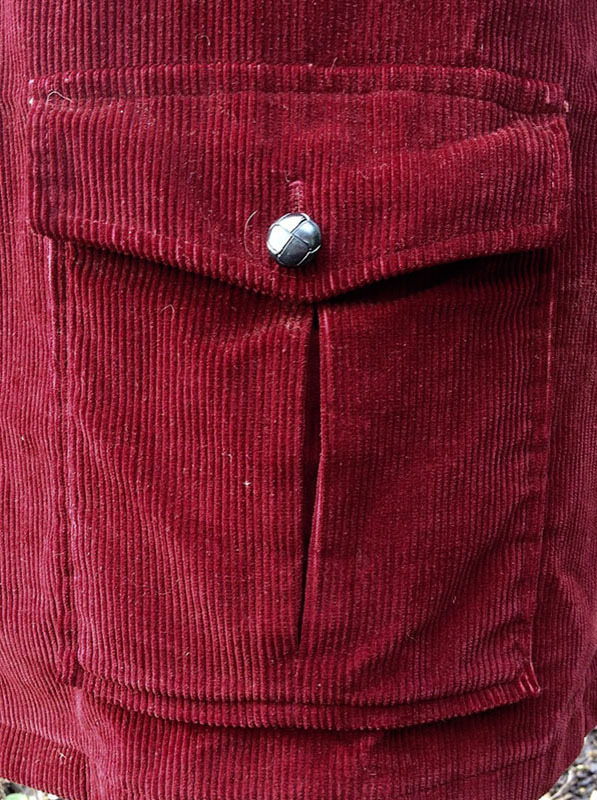 I had a good look at the pockets and to my surprise I found that in one was the missing button! Not only that, sewn in to the bottom hem is a spare for the front and the cuffs/pockets! 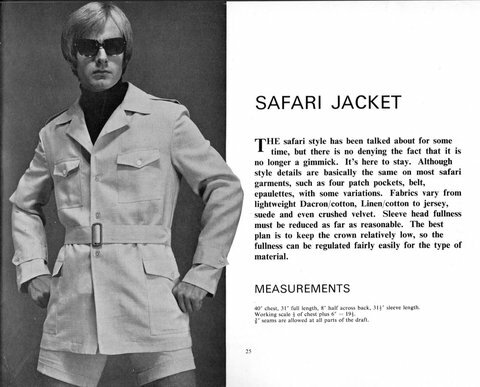 The collar and lapels are real 1970s in the style of the safari jackets of the period. Their shape remains me also of the U-boat later jacket worn by the Ninth Doctor. The buttonhole on the lapel is cut, and practical as it connects with a small plain button concealed under the collar, making it a very snug and warm fit. From what I can make out the construction of the pockets are exactly the same as Tom’s, though they lack a line of binding around the top edge. They have an inverted box pleat down the centre front of each, which is sealed for the top 2 inches. This is where the button is sewn to hold the flap down. 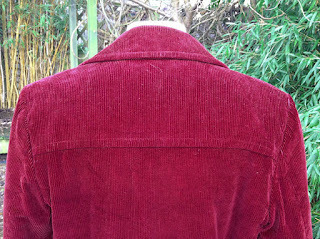 The rear of the jacket has a yolked shoulder and the back itself is made from a single piece without a centre seam. 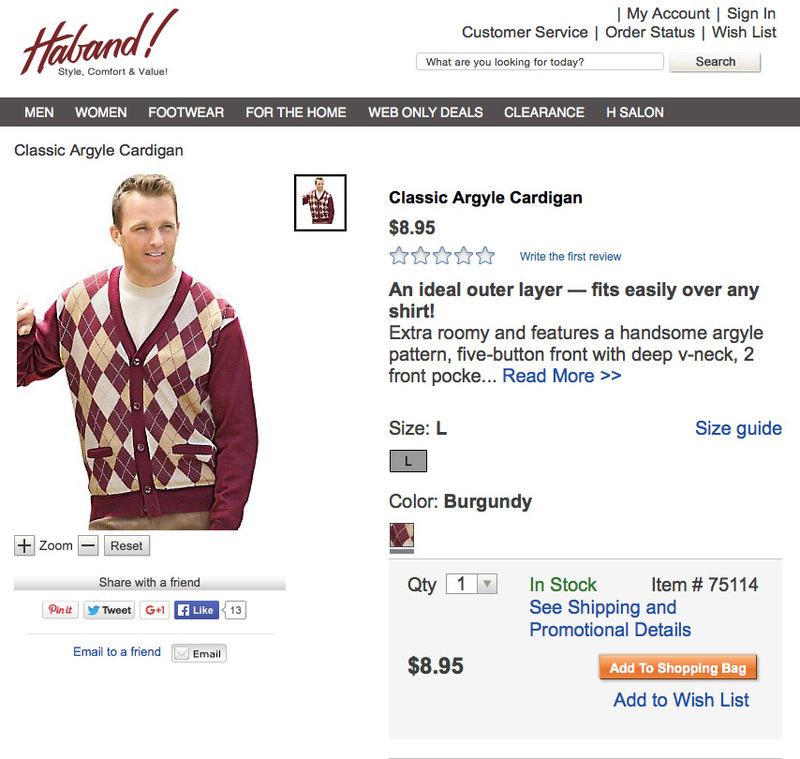 This is like a shirt rather than a lounge jacket. This back panel is missing the two deep pleats that are visible on Tom’s version. On his they disappear into a laid-in belted back, below which there is a conventional flat back becoming a plain hem at the bottom. This jacket has a belted back, strung between two loops on either side. 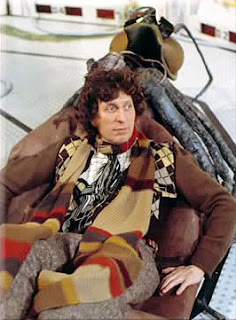 Studying this jacket, especially how the pockets are made, will be invaluable if I ever decided create a pattern for it. I’d be able to incorporate the changes needed to make it more screen accurate for myself or got a commission for one. 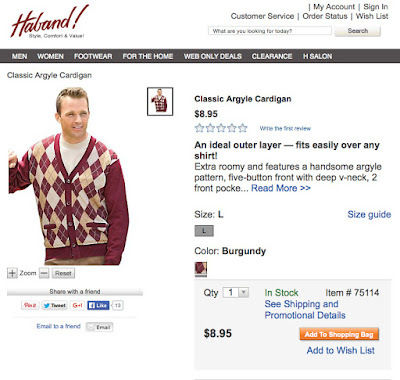 If you’re looking around to do a season 12 costume, Adam Ferry, a member of the Stitches In Time Facebook group spotted a great alternative for the Argyle cardigan - especially if you are on a tight budget. 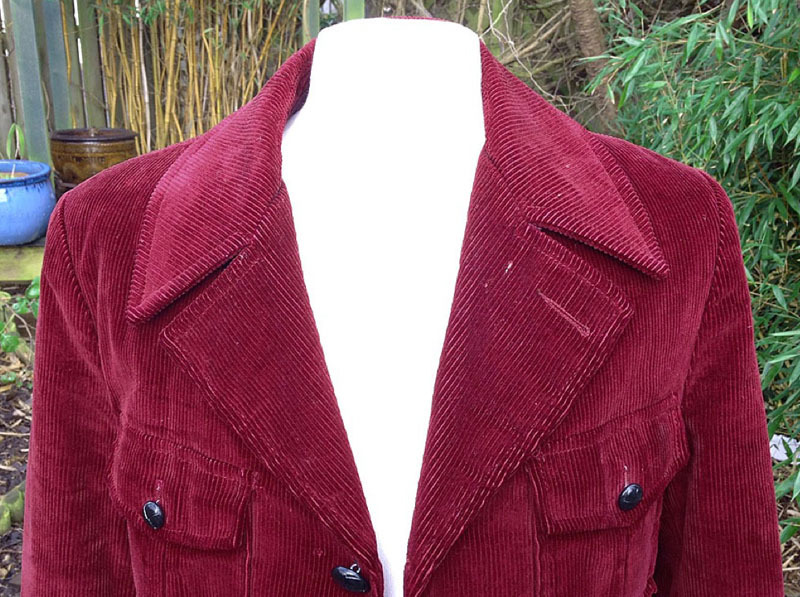 It’s not quite the right colour - it comes in burgundy rather than true brown, but worn under a jacket with the scarf on top, it would make a perfect substitute - and for $8.95 you can’t go wrong! Once in a while a curious item pops up on eBay, often without fanfare or with any apparent value attributed to it. 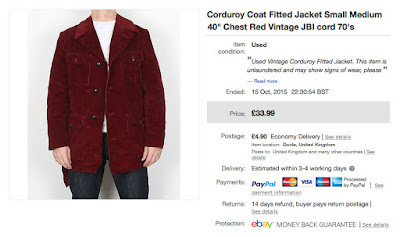 Ryan, one of my readers spotting a vintage jacket that caught his attention, and certainly piqued mine. PLEASE NOTE - All our items are sourced from around the world. Sizing scales differ in different parts of the world (e.g. a USA Large is a UK XLarge or a Japanese 46 is a UK 44) . So we always remeasure every item and the size stated is the UK size. Any labels you may find on a garment that differ from the size we state will be because it is an overseas label. Now, I’m sure you can see the more than marked resemblance to the jacket worn in season 12, which is of a similar dark red corduroy fabric, with many matching design details. 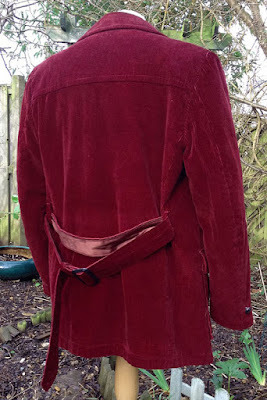 I’ll be the first to point out its lacking, which include pointed 1970s collar; the sleeves do not have elbow patches; it lacks the curious pocket detail on the sleeve; the back does not have pleats under the yolk. But you got to admit the overall shilouette of the jacket is perfect and has a loose fit without cutting in at the waist. The four boxed front pockets with button-down flaps are uncanny and just like Tom’s jacket. 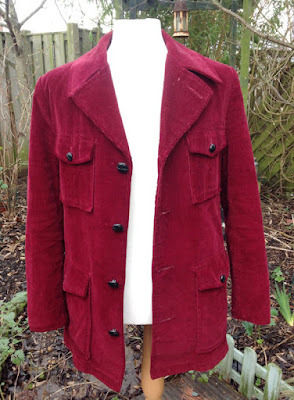 Ryan was happy for me to buy the jacket, as it was a size that wouldn’t fit him and it would certainly be helpful to me to see a genuine period 1970s jacket of this cut to understand the construction of the pockets and get the same style of fit. The listing says it is a chest 40, and I am a chest 42 so it may well be tight on me, but we’ll see once it turns up as I closed the deal already!